Honda’s reign as the front-wheel drive Nürburgring Nordschleife record holder was a short one. 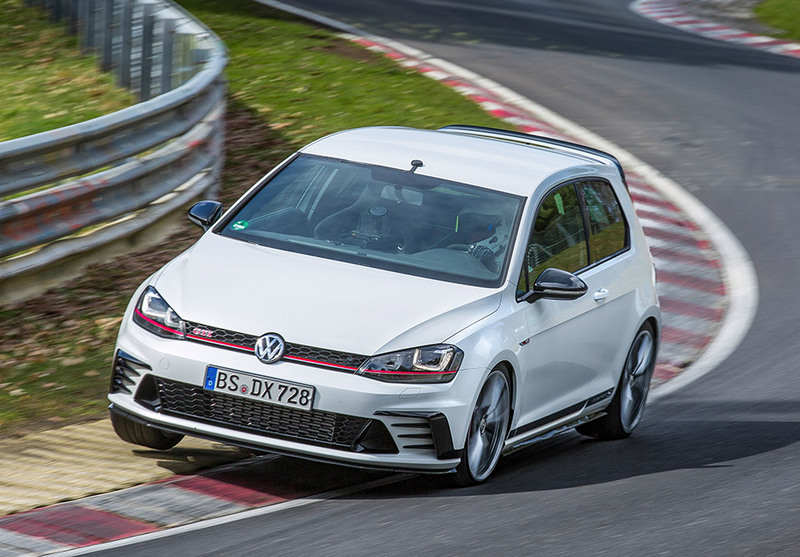 Volkswagen has smashed that record with a hopped up Golf GTI that you can actually buy, assuming you don’t live in the US where VW doesn’t sell the GTI Clubsport S. VW beat Honda by 1.4 seconds around the famed Ring with a time of 7:49.21. The 2.0-liter turbo 4-banger in the Golf GTI Clubsport S makes 310 hp and 280 lb-ft. of torque. 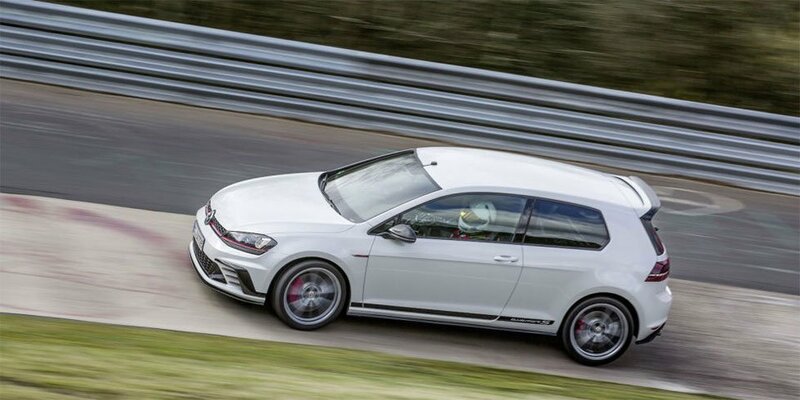 Having gone on a strict diet, including having its rear seat tossed, the Clubsport S weighs just 2883 lb. The car also has wider exhaust pipes to reduce backforce, and improve performance even further. It does 0 to 62mph in 5.8 seconds, and hits a top speed of 162 mph. VW will offer the 400 units it is making with a manual transmission only. The dual-clutch might have shifted faster, but it weighs more. Part of the speed for this little car comes from the super sticky Michelin Pilot Sport Cup 2 tires. Why can’t enthusiasts in the US get more of the cool cars offered in Europe? It’s sad really.